As a blogger, we have to follow some written and unwritten rules to survive in the blogsphere. Here I am giving the rules that must be followed by the newbie bloggers or professional bloggers. Those who are not comply with these rules for your blog, can follow this. First you have to decide your platform, whether it is blogspot or wordpress or blog (Own Domain). Before starting your blog, you must have to define your goals. Take more time to choose your niche, it can be related to your studies, hobbies, entertainment, gadgets, it’s up to you. Don’t launch the blog until setup properly. You have to know your audience, if you are targeting college students, then the niche should be related to them and design of your blog must be attractive. Be consistent in your blog design and content. “Content is King”. Don’t be a copycat. Try to give unique contents to your readers. Fix the regular timing for posting article. If you are posting an article/week, then you have to follow this. Don’t miss the interval of posting article. Be loyal in sharing your post. Don’t share your post often to others. It will be irritating and get you negative thought about your blog. Create “Fan Pages” for your blog in Facebook, Google +, Twitter, Pinterest, Orkut etc… By doing this will get you more traffic to your blog. Try to use all kind of plugins. Don’t be afraid to make use of it. Use all kind of blogging tools for your blog. Don’t be ashamed or shy to ask help to other professional bloggers. If you ask help to more than 5 persons, at least a single person will surely help you, even a person like me can help you. For help, mail me to raamitsolutions@gmail.com. Keep learning from other bloggers. Make a read on other blogs and leave useful comments; it will surely get you backlinks. Don’t make spammy comments on other blogs. Use “Google Webmaster Tool” for index your blog to search engine. You can also use webmaster tool of “Yahoo” and “Bing”. Try to learn more about “Keywords” and “SEO” for your blog. Use internal links to your article within your blog. Make a reader to visit your blog for long time. After creating your post, don’t publish it immediately; check it for more than two times. Try to write your blog as professional. Check the syntax and grammatical mistakes in your blog before publishing. Don’t post the images and videos of others to your blog. Create own images and videos. Make your post as fun, real, engaging, interesting and understandable. We can’t able to share everything in a single post, so share a few key points that might be helpful to the readers. Create subscription options for your blog to get traffic. Interact with all of your readers. If someone emails you or comments on your blog, make sure to respond to them. If you make a unique thing on your blog, it will really help to make the reader coming back. Be patient. We can’t make our blog popular within a week. It can take months or years to become popular. Don’t forget to communicate with your readers. Communication is must. Encourage the comments on your blog. Include “About Me” page on your blog, it let the readers to know about you. Be loyal in writing your “About Me” page. Share everything and interesting things about you. Use sub headings and numlist for your post. Include list of related posts, recent posts and tags in your blog. Make the readers to contact you offline regarding queries. Reward commenters for commenting on your article. Give backlinks to other bloggers, if they are newbie commenters. Select a descriptive topic for your article. By the topic itself, readers have to understand how the article is. Keep your blog updated regularly. Use social networking plugins to share your article. It makes your article viral. Make your blog “Center of Attraction” by saying all the things in different manner. Be differ from other bloggers. I think, this blogging tips will surely help you to become a successful blogger. To create a successful & perfect blog, read here. Subscribe Here to get "More Blogging Tips" within your mail box. Do share this post and help newbie bloggers like you. A warm welcome to my blog. Keep on contributing. Hope to see u again. Great info for new bloggers in town. Will be following you. Welcome to my blog. Keep on reading. Thanks for your comment. 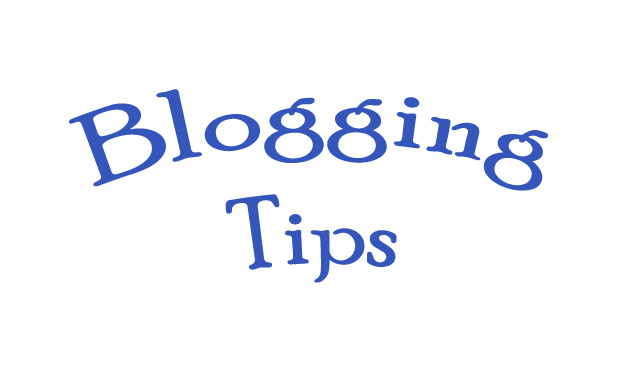 You have given a useful and informative tips for newbie blogger like me. Thanks for your useful information. Keep on posting like this. Welcome to my blog. Thanks for your enthusiastic comment. Keep on reading my blog. Nice tips you’ve covered nearly everything they need details as well but you can cover them up in different posts as well later on. Yes i covered almost everythign. But this points are not enough according to me. Welcome to my blog. Thank you very much for your comment. I think WordPress is the best platform to start blogging. A blogger must know the basic of blogging. The article should be without grammatical error. He must know basic of SEO.